Have you got the ‘S’ factor? Stiffness : The earlymorning stiffness lasting over 30 minutes. Swelling : Persistant swelling of one or more joint or more, especialy hand joints. 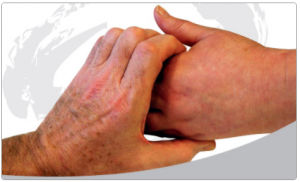 Squeezing : Squeezing the joints is painful in inflammatory artritis. This could be inflammatory arthritis. Consult a Rheumatologist. Delay can cause long term disability.